Neurological Physiotherapy aims to help people who are living with a neurological condition. This could include Multiple Sclerosis, Cerebral palsy, Muscular Dystrophy, Parkinson’s, Stroke and Motor Neurone Disease. 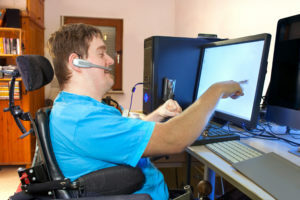 Following a thorough assessment a treatment plan could include hands on treatment techniques, a tailored exercise program as well as advice and education. You may bring a family member, friend or carer for help and support. Regular ongoing sessions; to maintain muscle length and joint range in someone with increased tone, MS or CP. Ad hoc reactive sessions; as and when new problems arise from a changing condition like relapsing remitting MS. Treatment sessions can be either 30 or 60 mins duration dependent on your current issues. If you have private heathcare insurance please check with your provider if they cover your condition. An authorisation code is usually required before treatment commences and we will then use this to invoice your provider at the end of each session.